Co-conceived, commissioned and produced a new work of digital public art from Susie Ibarra called Digital Sanctuaries that was featured in different iterations as part of the River To River Festival in 2012, 2013 and 2014) This app-based geolocated soundwalk transformed the rich history of Lower Manhattan into electroacoustic soundscapes honoring the communities that have inhabited each city space including African burial grounds, Native American Indian Museum, Irish communities, Jewish communities, Chinatown, Castle Clinton the first port of entry for immigrants in New York City. Ibarra composed musical scores that included featured soloists on the recordings, and field recordings interwoven as an homage to local and global communities from each topography. The soundwalk was set amidst twelve sites in Lower Manhattan, geolocated and accessed through the mobile web app. Created in collaboration with visual artist Makoto Fujimura, with interaction design by Shankari Murali. 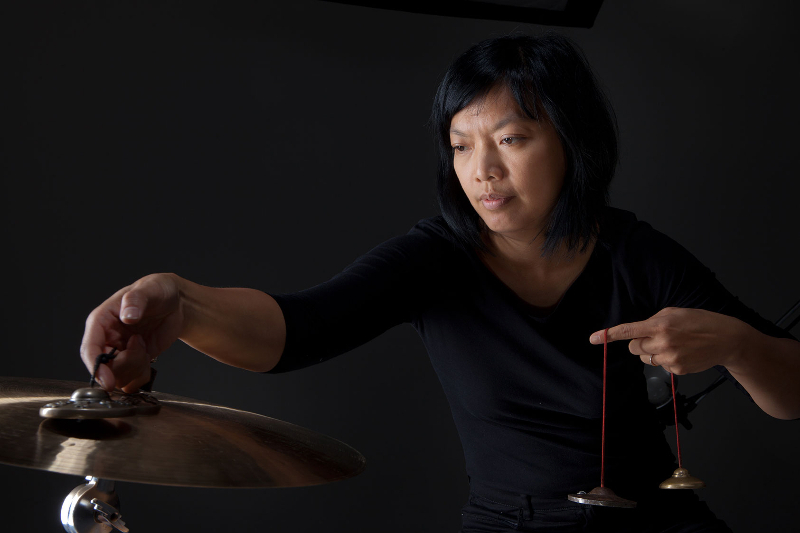 Susie Ibarra is a contemporary composer and percussionist who has worked and recorded with jazz, classical, world, and Indigenous musicians. She is known for her work as a performer in avant-garde, jazz, world and new music. As a composer, Ibarra incorporates diverse styles and influences of Philippine Kulintang, jazz, classical, poetry, musical theater, opera and electronic music. Ibarra remains active as a composer, performer, educator and documentary filmmaker in the U.S., Philippines and internationally. She is interested and involved in works that blend folkloric and indigenous tradition with avant-garde. In 2004, Ibarra began field recording indigenous Philippine music and co-founded in 2009, Song of the Bird King, an organization focusing on preservation of Indigenous music and ecology.